The team at Elite Exteriors has been serving homeowners in and around Omaha, Nebraska since 1995, providing high-quality products, expert installation, and friendly customer care. As such, we’ve made a name for ourselves as one of the premier roofing companies in the area, and have earned numerous industry accolades for our stellar workmanship. If you’re in the market for a roofing company that can repair your existing roof, replace your shingles, or install an entire new roof on your home, you’ve come to the right place. For all your roofing needs, big or small, we’re the ones to call. Here at Elite Exteriors, we like to think our work speaks for itself, but we never get tired of hearing good things from our customers. Nearly half of the projects we complete are for customers with whom we’ve worked in the past, and they have been so pleased with our services that they couldn’t imagine working with other roofing companies. Our commitment to total customer satisfaction has been the driving force behind our business for more than 20 years, and we continue to strive for excellence every time we take on a job. 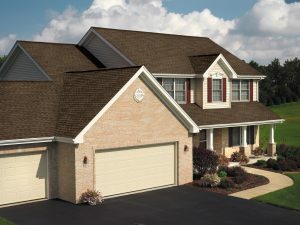 This means using top-of-the-line products that boast the latest and greatest developments in roofing technology, like the Owens Corning Duration® COOL Roof Collection and incredibly durable Class 4 roofing systems from IKO and CertainTeed. With impressive laboratory-tested impact resistance ratings, these Class 4 roofs are among the most heavy-duty, longest-lasting roofing products on the market and are protected by solid lifetime warranties. For more information about what sets us apart from other roofing companies in the Omaha area, contact Elite Exteriors today. We would be happy to schedule a free at-home consultation to discuss your roofing needs.